Have you ever thought how your favorite cartoon characters would look like if they would turn into real life humans? Would they still be cute and cool or would look more like three-fingered, slightly deformed, weirdly colored versions of themselves? Well, we've got the answer as to how the real-life cartoon characters would look like below. Bored Panda has collected this list of the most famous cartoons personas re-imagined in 3D art drawings. And to be fair, it's quite discerning with some of these cartoon character drawings. 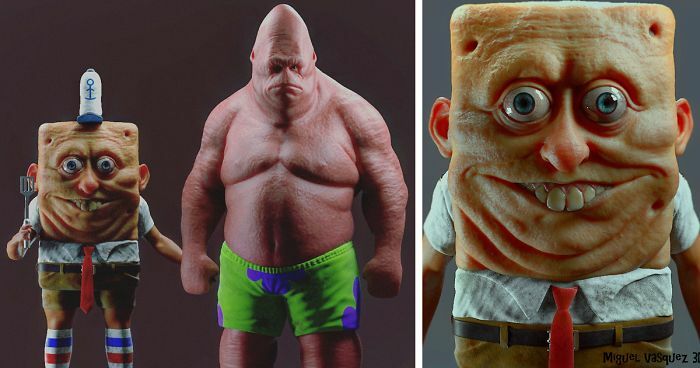 If Jessica Rabbit might remind you why she was your childhood crush, the realistic art of Spongebob Squarepants cast might make you shudder with their creepy demeanor.  Scroll down to check our list of cartoon characters in real life; consider yourself warned though, as some of your childhood heroes seem to be in a rough patch with their lives. He's actually really hot! I want him to Buzz all over my Lightyear! he looks so badass though! Oh my goodness! What is with the creepy overboard stuff! Not the teenage mutant ninja turtles! This is the teenage devil mutant turtle! #30 Mike Wazowski From Monsters, Inc.
You're not even doing it now. This is obviously not a photoshop. Her name is Toph. The Blind Bandit was her stage name for fighting. I will see the song "doing the pigeon" the same way after this visual, thanks for leaving Ernie alone. Kenny should have his hood on! #51 Brock Samson From The Venture Bros.
a little off model for face . Somebody do Southpark as a boy band. #56 Bowser From Super Mario Bros.
Way too tall and skinny! Good ... But where's the rest of him? The other Buzz is better. I g e t it. #78 Flapjack, From The Misadventures Of Flapjack!